whitney houston | Play Happy. The remixes to Whitney’s somewhat boring first single are rather slow to come out. Here are the Rafael Lelis radio and club remixes; they’re pretty decent, slightly trance-y. Overall, the nine tracks that were played received a good response. The album definitely has the potential to be a hit. For Whitney, there is no such thing as a “comeback” — icons “don’t call it a comeback,” they just jump back in the game whenever they are ready. One thing I do know is no one should expect 1985 Whitney. Artists evolve and it’s limiting when we trap performers in a particular box or era. The best piece about the tracks is that Whit has some grit to her voice, her vocals are still strong but she doesn’t mind getting a bit nasty with it. While the album isn’t finished, I believe folks will be pleasantly surprised. The album, “I Look To You”, drops September 1. 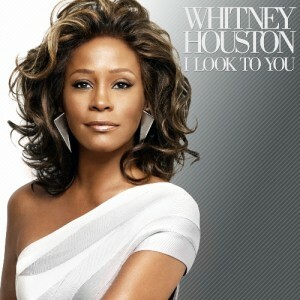 Whitney’s loooong-awaited comeback album, titled “I Look To You”, will drop September 1 and the first single is here. Hopefully the remixers can work their magic on this. Reuters is reporting that Arista has announced that Whitney’s long-awaited ‘come back’ album – her first in seven years – will be released in September 2009. You may remember that in January, Whitney’s mentor and mega-guru Clive Davis said the album would be out in March 2009 before quickly back-peddling. It will be interesting to see whether this album stands-out as a genuine Whitney come back or a generic, well-produced pop album. Whitney’s recent live performances have left something to be desired and with her age – 45 – there’s no way she’s going to have the range she once did. Unrelated: there’s an entire section on Ms. Houston’s Wiki page titled, “Substances.” Awesome. Trivia: “I Will Always Love You” was arguably the biggest song to come out of The Bodyguard but it was actually everyone’s second choice. Originally, they wanted Whitney to sing a cover of Jimmy Ruffin’s “What Becomes of the Brokenhearted” [Download] but when they learned that that song was going to be included in Fried Green Tomatoes, Whitney requested something else and Kevin Costner suggested “I Will Always Love You” instead. Update: Whitney’s website is now reporting that the March date circulating in the press is “erroneous.” Sigh.